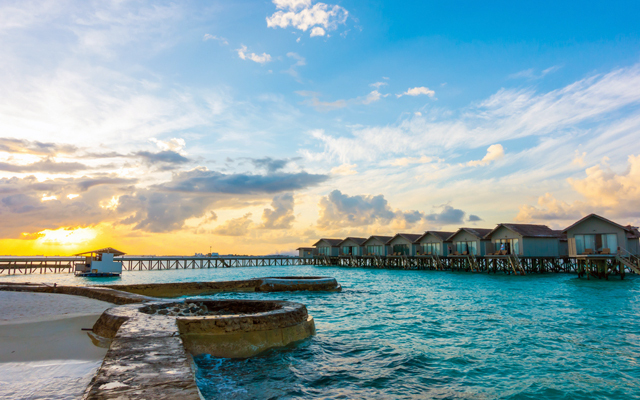 The Maldives’ new administration is aiming to take promotion of tourism, the country’s main foreign exchange earner and chief employer, to the next level with an increased budget and broadened scope that also includes guesthouses. In a series of announcements, the new government said it plans to triple the 2019 tourism promotion budget to US$6.7 million, up from US$2.2 million in 2018. The Maldivian tourism trade has in recent years urged the government to increase tourism marketing budget, especially in light of a proliferation of new resorts opening in the past 18 months. Ahmed Karam, president of the Guesthouses Association of Maldives, who revealed that some guesthouses were overbooked during December, is hopeful that the government will expand this year’s tourism promotion efforts to the lower-end accommodation sector. “Also, the industry has been clamouring for money to be spent on destination marketing, not just hotels taking part at travel shows and promoting their own properties. I believe this would also be part of this year’s campaign,” he said. Abdulla Ghiyas, president of the Maldives Association of Travel Agents and Tour Operators, also lauded the pro-tourism moves by the new regime, which announced an increase in promotional budget and reaching out politically to Western Europe. At a tourism conference last month, recently elected president Ibrahim Mohamed Solih said the government planned to open a SME bank in February to provide loans to expand guesthouses. He was quoted as saying that the guesthouse development has shown that the Maldives must not be marketed only as a high-end, luxury destination, but as a mid-market and budget-friendly holiday destination as well. At present there are 145 resorts, 515 guesthouses and 12 hotels with over 42,000 beds. Arrivals in January-November 2018 rose by seven per cent to over 1.3 million, with Australia showing the largest growth of 39.3 per cent to 34,523 arrivals owing to new direct flights between the two countries. Overall, travel operators are anticipating quick tourism recovery after a troubled few months in 2018 when a state of emergency was imposed, hurting a few markets including China, the country’s biggest tourism source, while several Western countries increased travel advisories. “December was a very good month with the airport extremely busy. It looks like we would have had a record month in December,” said Abdulla. December arrivals figures were not available at press time. However, Maldivian airport authorities said the main international airport accommodated 83 private jets during peak December 25-31 Christmas and New Year period, up from 55 private jets in the same 2018 period.